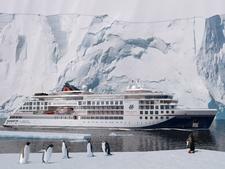 Shipping giant Hapag-Lloyd's cruising arm expands in 2019 with the addition of Hanseatic Inspiration, a 230-passenger luxury expedition ship that is designed for all climates. The ship, which will debut October 13, 2019 , has the highest ice-class rating for a passenger ship, meaning it can explore the icy regions of the Arctic and Antarctic. 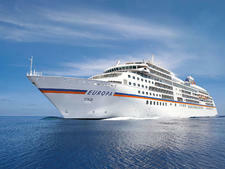 When it cruises to Antarctica or circumnavigates Spitsbergen, it will carry only 199 passengers. 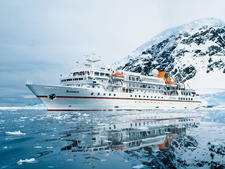 Hanseatic Inspiration will have 17 Zodiacs for passengers to reach the shores of even the most exotic locales, where excursion options include camping in Antarctica or sipping Champagne on a glacier. Onboard, the emphasis on destinations is reinforced, with several spots created specifically for learning and exploring. There's the 645-square-foot Ocean Academy, with its interactive media wall (along with personal media centers), where passengers can engage and learn more about the places they'll visit. Here, even the most scientifically complex information will be broken down into easily digestible bits. 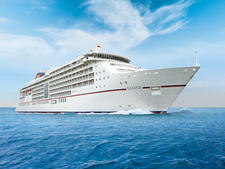 The ship also has a hub of activity, called the HanseAtrium, which company CEO Karl Pojer calls "the heart of the ship." Daily presentations and shore excursion preparations will take place here. Hanseatic Inspiration also has an extendable glass balcony that puts passengers out over the water for unobstructed views. The ship will have 120 cabins, ranging from the 226-square-foot panoramic or French balcony cabins, all the way up to the 764-square-foot Grand Suite. With three restaurant options, passengers will have plenty of choice. The biggest restaurant is the main restaurant, which seats 178 diners. The bistro restaurant serves as a more casual option, with 84 indoor seats along with 100 outdoor seats. Finally, there's the specialty restaurant that will serve up a Japanese-Peruvian fusion mix. 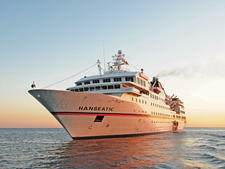 Hanseatic Inspiration will sail in Antarctica, across the Great Lakes and along the Amazon River.